This detail shows epoxy terrazzo applied over a concrete slab on grade. 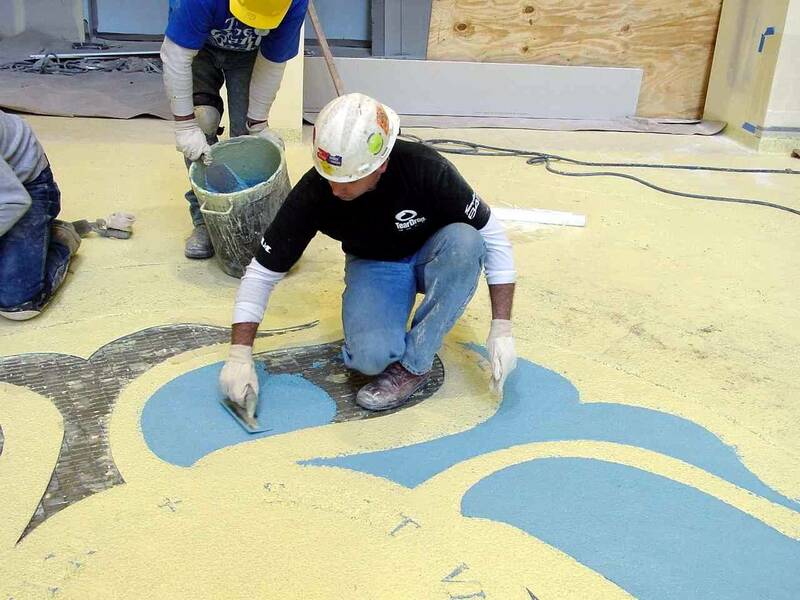 There is a vapor barrier underneath the concrete slab, and the slab is properly prepped and profiled to receive all components of an epoxy terrazzo system. Note: crack isolation membrane may be required, but is not shown. The detail shows moisture vapor primer which may also serve as a bonding agent. The divider strips may be zinc, brass, colored plastic, or other materials. 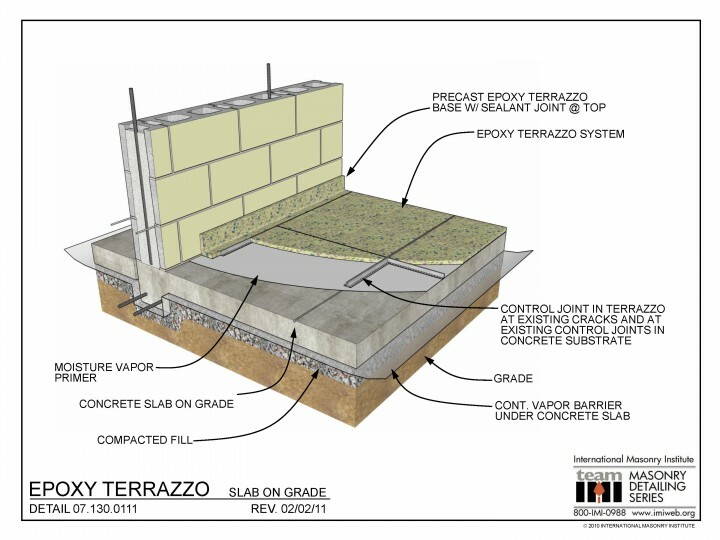 Two divider strips back-to-back form a control joint in the terrazzo directly above the control joint in the concrete slab. The terrazzo floor finish is made up of resinous matrix and aggregate, and finishes to 1/4”-3/8” thick. The aggregate may be marble, glass, or synthetic materials, appropriate in size for the system and thickness. The system is ground, finished, and sealed per design. This detail shows a precast epoxy terrazzo base with sealant joint at top.